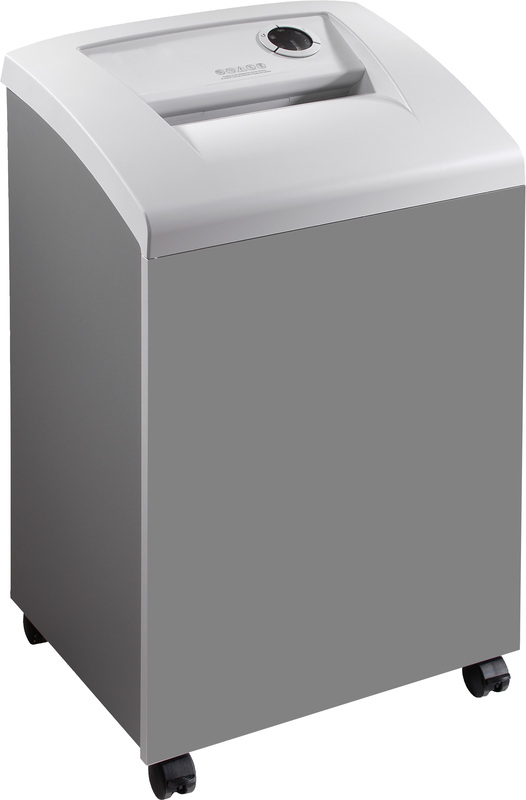 A Level 3 / P-4 Cross Cut shredder designed for small office use. The F-9X5 shredder features a new Advanced Cutting Head Design to reduce paper jams and maintain peak performance without requiring oil. 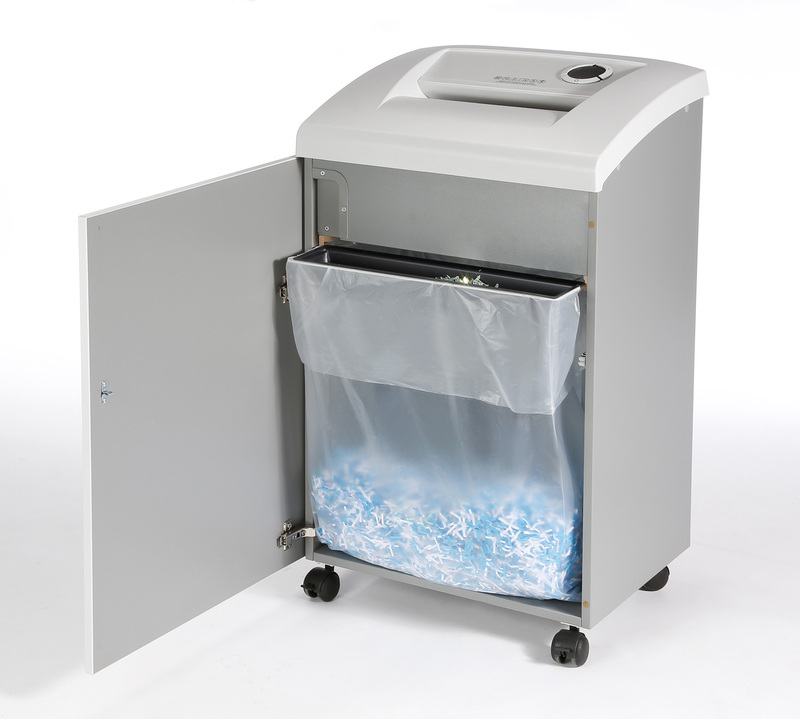 Oil-Free Shredders are environmentally friendly, convenient to use and economical to maintain. The F-9X5 has a cutting head engineered with the cutting discs fused to a solid steel shaft, creating an incredibly strong bond and providing superior shredding capabilities. The cutting cylinders are designed to produce a smooth, even pull preventing the paper from becoming wedged to either side, and providing unprecedented jam protection. 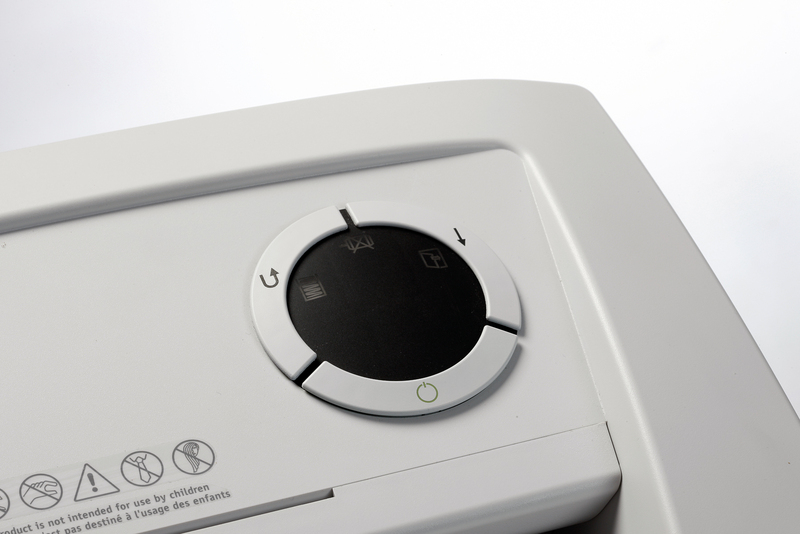 The F-9X5 is equipped with an Energy Management System that places the shredder in sleep mode after ten minutes of sitting idle, and completely powers down after an additional 20 minutes of inactivity conserving energy and reducing electrical costs. The F-9X5 also features automatic on/off or continuous run operation and numerous safety features for the ultimate in convenience and performance. A High Performance shredder German Engineered with the cutting cylinders Guaranteed for Life.